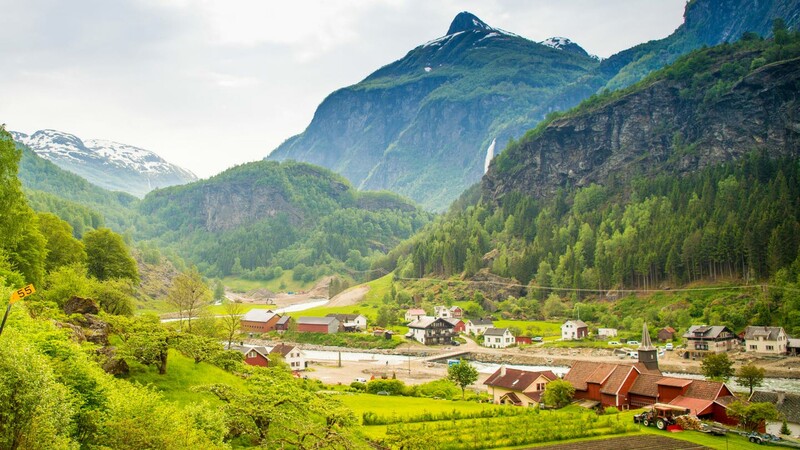 Flåm is an ideal starting point for a bicycle trip in stunning surroundings. Hire a bicycle for a day and explore the area at leisure. Whether you choose to cycle along Aurlandsfjord or explore the old town centre of Flåm, the terrain is flat and suitable for nearly everyone. 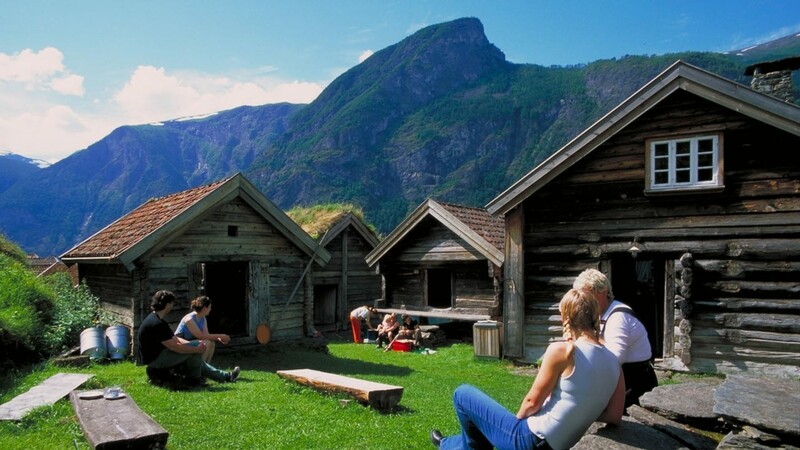 Otternes Farm is located halfway between Aurland and Flåm and is an excellent destination for a cycle trip. Follow the foot/cycle path from Flåm. You will be cycling on level terrain close to the grandeur of nature. The cycle path runs along Aurlandsfjord underneath steep rock faces. After about 4 km, you will cross the main road and continue on a 300-metre unpaved track to the farm village. This settlement dates back to the 17th century and is surrounded by a luxuriant landscape with wonderful views over Aurlandsfjord. A perfect location to simply enjoy the peaceful and beautiful surroundings. Electric or pedal power – The choice is yours! Flåm Church is a stave church dating from 1670 in the old centre of Flåm. It has distinctive decorations on the walls. Poet Per Sivle was born at the neighbouring farm and an obelisk has been raised here in his memory. 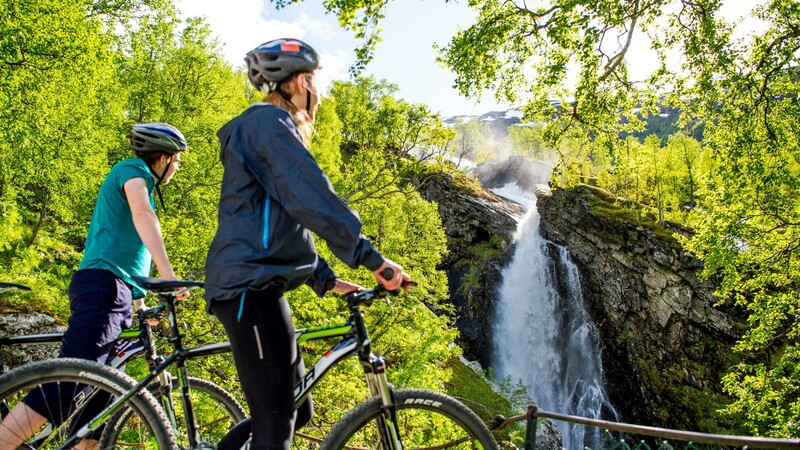 From Flåm station and keeping to the right-hand side of the river you will pass the beautiful Brekkefossen waterfall, where you can park your bike by the road. Follow the marked track for approx 15–20 mins and you will be standing in the spray mist from Brekkefossen waterfall, overlooking Flåm harbour and valley.